How to start Dropshipping in 2019 profitably? A lot of things change in a year when it comes to starting a Dropshipping business. So, we will talk about the ways in which you can start Dropshipping in 2019 as opposed to 2018. 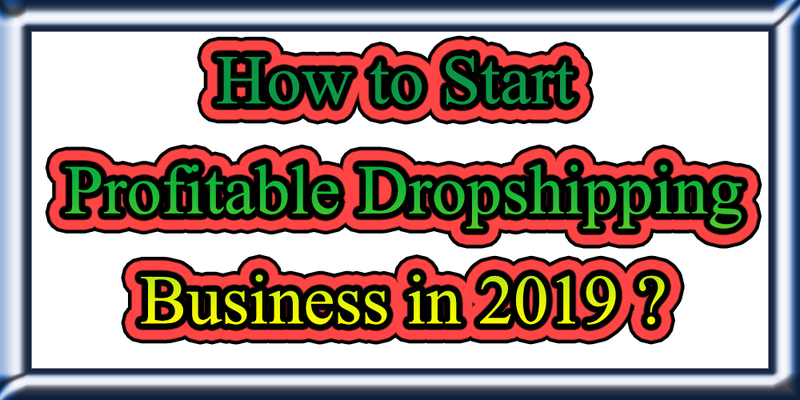 This article will tell you all the profitable tips to grow your Dropshipping store in 2019. Is Dropshipping dead in 2019? No, being a business model Dropshipping is never going to die. It may have a few changes here and there in 2019 when we compare it to 2018 but it is never going to change. Do you need to build a brand to stay profitable in 2019? Well, it is totally dependent on your position in e-commerce business. it is all about your experience in this business. You need to create good content to build a brand. You may have a team of blog writers or content creators for your business if you have a lot of winning products but people who are new into this business should focus on getting sales. Product research is another important thing that you need to do if you are a newbie. Instead of hiring content creators you can hire customer care fulfilment experts. Is Dropshipping hard in 2019 as compared to 2018? Some people may call it harder but it depends in the traffic source that you are using to get traffic for store. Dropshipping become complex due to the ad platform that you are using. So, Dropshipping may become hard with Facebook ads when it comes to 2019 in terms of driving traffic. Facebook will increase ad costs and implement some policies. When it comes to Google ads, driving traffic to your site is easy as Google does not implement any strict ad policies.